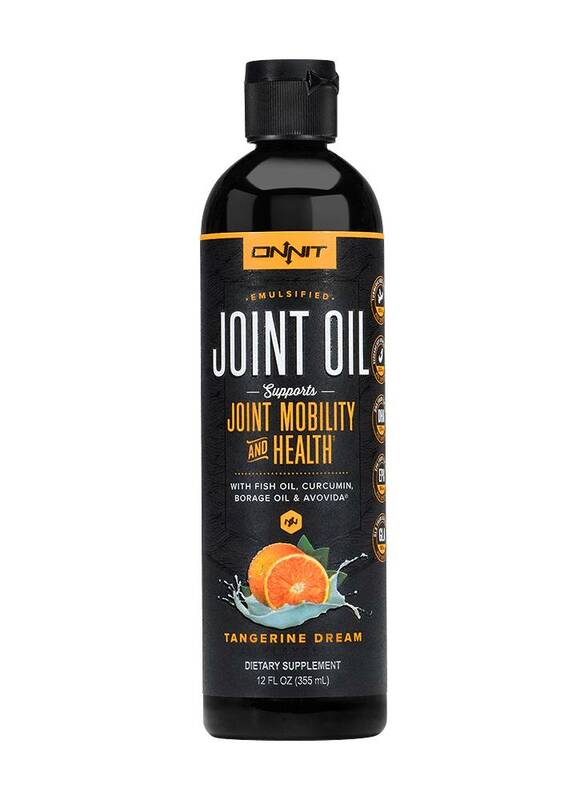 MCT oil is beneficial for the body and brain. These healthy, natural fats provide the energy you require for peak performance. 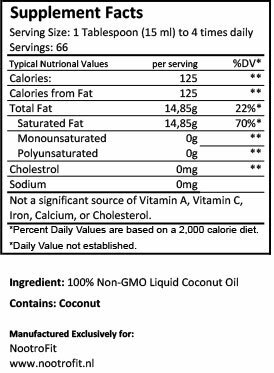 Believing firmly that your health is paramount; we have extracted the purest concentrate from organic coconuts. Our source is sustainable (CSPO) and supports Orang-utan & wildlife conservation. 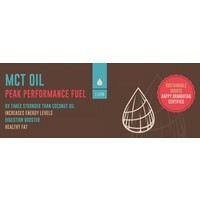 MCT oils are easy to digest and instantly absorbed. Your body uses this direct energy source, and coincidentally, minimum of fat is stored. 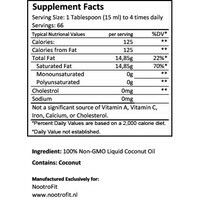 This is perfect for lean gains and as a dietary supplement. This product is vegan approved. 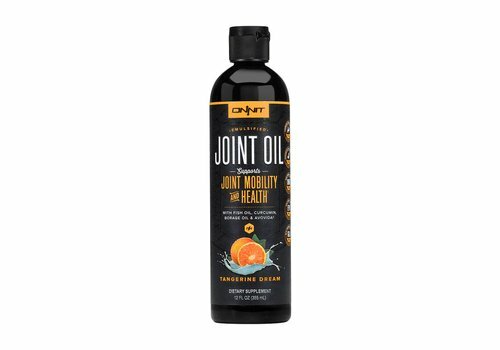 Our MCT Oil contains 60% C8 and 40% C10. 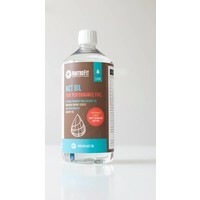 Use NootroFit MCT oil as a replacement for butter and olive oil while cooking. Many are amazed with this product’s versatility. It’s perfect for salad dressing, suitable for skincare and moisturizer. MCT Oil has a neutral taste and smell. Experience the highest energy boost from healthy fats and a pro-longed caffeine boost. This recipe fits perfect in any intermittent fasting and the paleo diet. 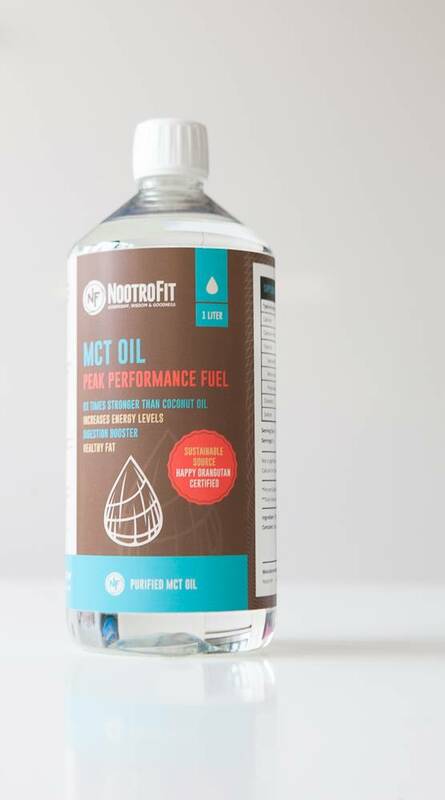 MCT oil is a delicious and healthy addition for your green smoothies and power-food shakes. Excessive oil use can result in diarrea and stomach aches. 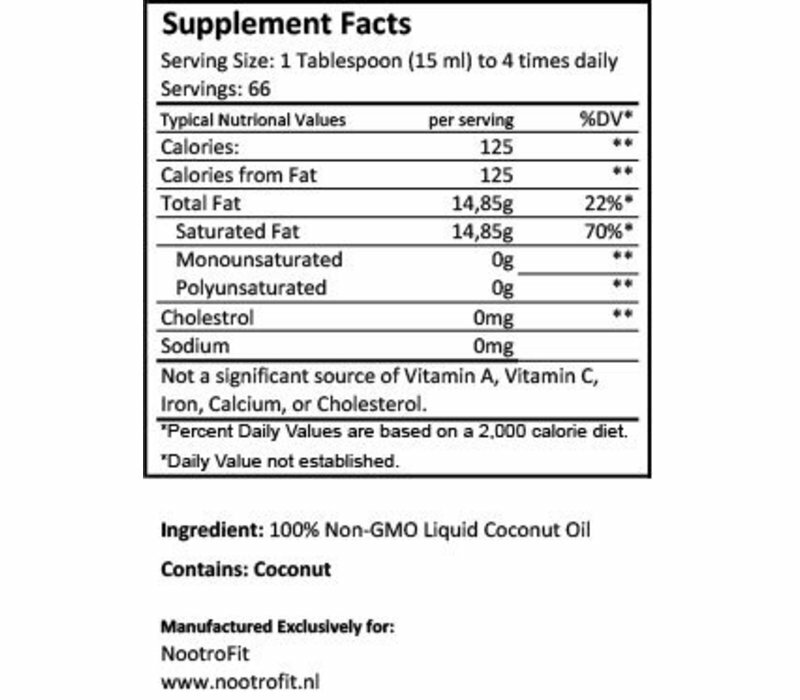 Start taking MCT oil one teaspoon at a time and slowly build up to the desired amount.